The staff at Execujet Haite is now authorized to perform maintenance on aircraft registered in Bermuda and Aruba. The modern facility also holds approvals from China's Civil Aviation Authority (CAAC), EASA, FAA, Cayman Islands, Hong Kong and Macau. 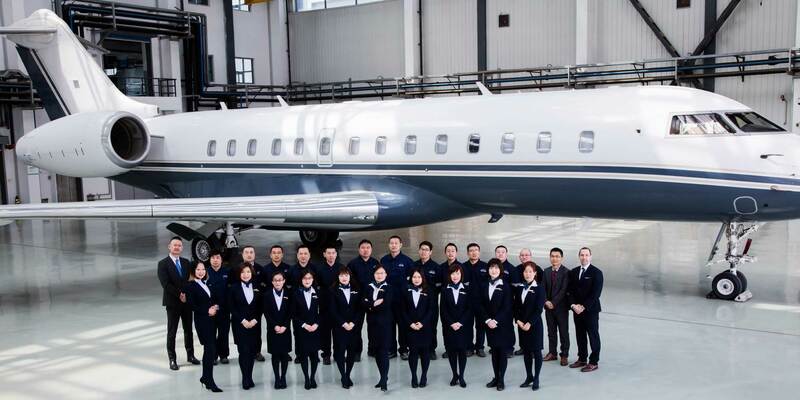 Execujet Haite, the China-based aviation maintenance joint venture between ExecuJet Aviation and Tianjin Haite, has received maintenance organization approval from the Bermuda Civil Aviation Authority (BCAA) and the Aruba Department of Civil Aviation (ADCA) to provide full maintenance services at its MRO facility at Tianjin Binhai Airport. The full-service location also holds maintenance approval from CAAC, FAA, EASA, the Cayman Islands, Hong Kong, and Macau. An authorized service facility for Embraer Executive Jets, Bombardier Business Aircraft, and Dassault Falcon, the MRO also provides line and base maintenance on several Gulfstream models. It is also authorized to provide service on multiple GE and Rolls-Royce engine types and is a Honeywell authorized dealer.